But they are all also REAL. I'm a REAL person, only human, with REAL emotions. As ugly as it is, I'm in that pit tonight. I'm trying my best to stay REAL - true to myself, while also being Christlike in my actions & reactions. I have this family member who really despises me. Says that it's me that despises them. Has been a part of my family for at least 8 years & this has been an issue most of that time. Quite frankly, I feel "damned if I do, damned if I don't." I'm angry because I only get to see my brother once a year. I want to spend time with him & the rest of my family with fun, love, & laughter - no drama. This person sees that there is drama by simply making a point NOT to speak to me. Everyone can see & feel the tension even when I do my best to ignore it. I'm not jealous of this person, but I am jealous for something that I feel is lacking - quality time with my family & the ability to NOT care what this person thinks of me. Because truthfully, no matter how much this person's words & actions hurt me, I still care that they don't like me. I wish I didn't care - life would be easier if I just didn't care. I'm frustrated for all the reasons I already mentioned PLUS I thought we'd worked through this two years ago. I'm tired of trying quite honestly. I think adults should act like adults & I'm fed up with juvenile behavior. I spoke "Hello" (or maybe it was "Hey") when I arrived today & was completely ignored. I wouldn't say I'm prideful about this situation, but it is easy to feel justified & I think those two things are close. I feel like I've more than done my part & that communication works both ways. Why should I have to be the one to make the extra effort when it isn't returned? While I feel like my actions, reactions, & emotions are justified, I still want to be sure I'm handling my end of this thing as best I can. Believe me when I say, I have searched myself over this! "am I a hateful person?" "am I jealous & reacting accordingly?" "could I have done (or be doing) something differently?" When I say I've searched myself, I'm not kidding. I really did some prayerful searching more than once. I know from experience that being dishonest with yourself is just a recipe for disaster. My honest answer to all those questions was "no." This person and I even had an email conversation a couple of years ago & I thought we'd made a lot of progress. I opened up and shared that family gatherings & crowds are really hard for me. I'm not a hugger either & it's not because I'm trying to be snobby or standoffish or I'm a germa-phob. I'm none of those things. I'm a shy person & I have been since birth. I don't like being the center of attention & walking into a room full of people is uncomfortable at best. I cannot imagine that it will ever be otherwise for me; it's just part of who I am. I'm not rude, but just like a shy child, it takes me a few minutes to "warm up." I've tried to get to know this person, because as I said, relationships of any kind are a two way street. I completely expect the return courtesy from this person & I don't think that's expecting too much! Basically what I'm saying is, "Please don't judge me as snobby or rude when you know nothing about me & you haven't even bothered to try to know me." I really try not to reciprocate the treatment that I get. 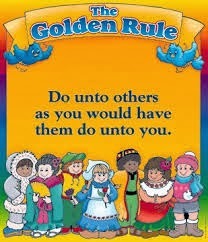 I learned The Golden Rule at a young age & I SO want to live it. I just never knew it could be so hard. 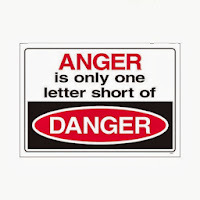 My REAL human feelings on the matter have been stuffed down for so long & I wonder how long I can hold them in. 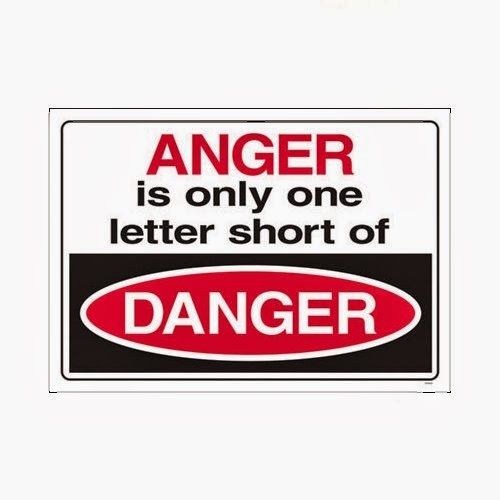 I'm not an angry person, but I can only take so much before I speak my mind. I don't want to explode because I know it will be REAL, but it will also be UGLY. This isn't someone I can separate myself from or sever ties with. I would never ask my family to choose sides, but seriously? Sometimes you just want somebody to stick up for you & ask the other person, "Hey! What the heck is your problem?" It's a tough spot for all of us I suppose. It's REAL. It's UGLY. I'm hoping & praying it doesn't get REAL UGLY before it gets worked out. In fact, my prayer has been ALL about this person & their needs, & very little about my own (although I'd be lying if I said my feelings weren't wrapped up in it a little). I am trying my best to love this person - hard as it may be. I've come to realize that most of us know very little about love. REAL love means caring for the other person & putting his or her needs above your own. It means doing this with no thought of reciprocation. It means doing this in the face of hate. It means doing this in every situation, no matter what! Lord, please help me love with no conditions! Grace is generally defined as favor and, similarly to "mercy," it is often undeserved. In today's world, I find GRACE to be more and more illusive. Not only do I often wish I received more of it from others, but I also wish I extended it more to others. My lack of extending grace shows daily in my actions, my words, my responses to other people, etc. This blog sprung from my desire to become a woman of grace. While that often seems a difficult task, I learn best from watching and communicating with others. Why not take as many opportunities as possible to learn from other women, mothers, wives? Let's glean from each other!